You will need one medium size beetroot, two pears and some green. I have used Iceberg here, but other greens will do. 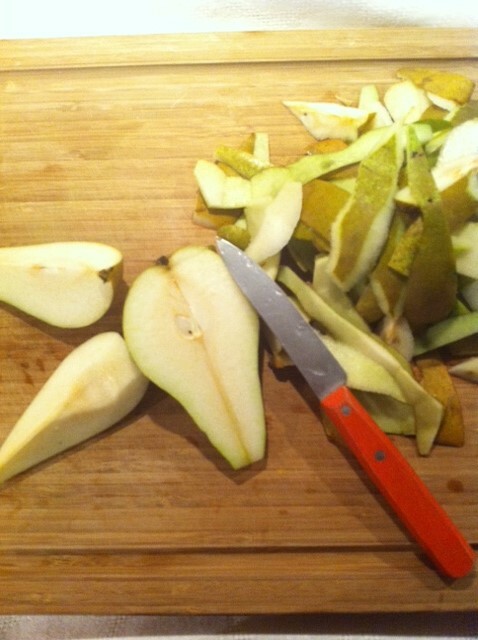 I have pealed the pears and sliced them quite thin. It is important to cut the beetroot really small as it is a rather hard veggie. I have cut it into “matches”. For the salad sauce, use the juice of half a lemon, 6 tablespoon of olive oil (mine is with basil), salt, pepper and a teaspoon of mustard. I put all the ingredients in a small container. I close it and shake it well. To be tested very soon. But what would you say if the beetroot would be cooked? The version for beginners. You can of course cook the beetroot LilkaNova. 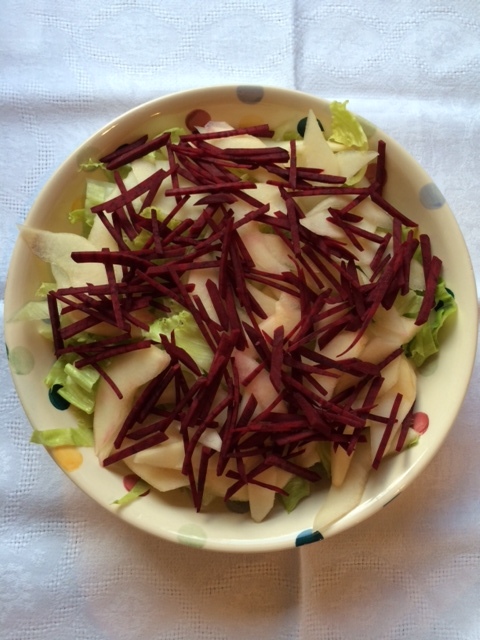 But if you do so, remember to cook it on low heat and not too long to keep all the benefits of it and add a tablespoon of vinegar (apple cider vinegar is my preferred one) to keep the gorgeous colour of the beetroot.